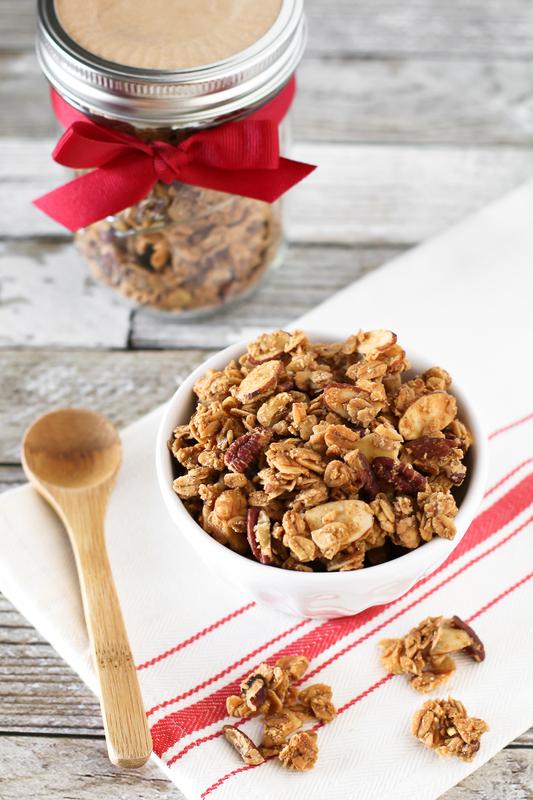 Gluten free holiday spice granola. 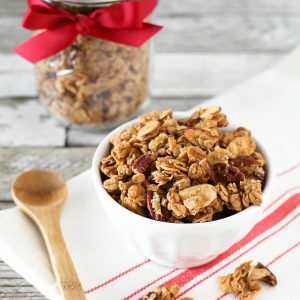 With the addition of warm cinnamon, nutmeg, allspice and ginger, this granola is bursting with holiday flavor and spice! Christmas is almost here and I’m feeling pretty good about having all my shopping done. Now I just have to tackle the wrapping. So much wrapping. The only way I wrap gifts is with a Christmas movie on in the background a big mug of hot cocoa. It’s usually either The Holiday or Little Women. My two faves that I have to watch every year! Other than wrapping gifts, I have a few goodies to make to pass out as teacher’s gifts and for friends. 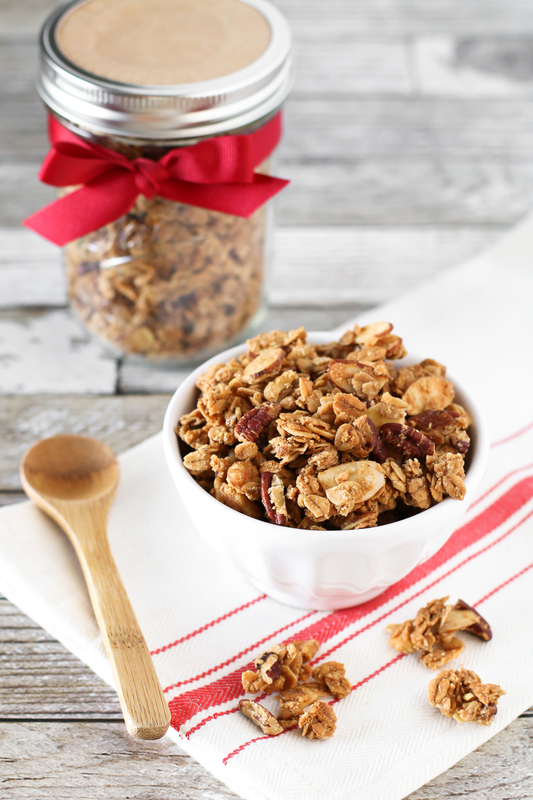 I’m making a BIG batch of this gluten free holiday spice granola. Who doesn’t love homemade granola? The flavors of cinnamon, ginger, allspice and nutmeg just add the perfect amount of holiday spice to this nutty granola. I did a mixture of almonds, pecans and walnuts, but any assortment would work great in this recipe. Preheat oven to 300 degrees. Line large baking sheet with parchment paper. 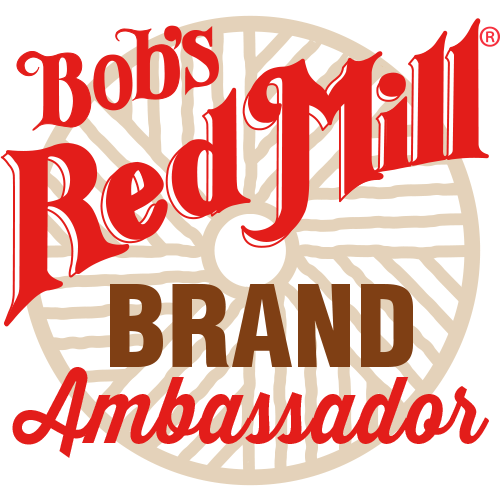 In large mixing bowl, whisk together maple syrup, brown sugar, melted coconut oil and vanilla. Mix until smooth and oil is incorporated into sugar mixture. Sugar should start to dissolve. Stir cinnamon, ginger, nutmeg, allspice and salt into sugar mixture. Add oats, almond flour and chopped nuts. Gently stir with rubber spatula until well coated. Bake granola 15 minutes, stir and rotate pan. Bake additional 15 minutes. Rotate pan and stir granola a third time. Bake 8-10 minutes. Granola should be golden brown. Remove granola from oven and do not stir. Place pan on cooling rack to cool completely, about 1 hour. When cooled, scoop into airtight container. Can’t go wrong with granola!